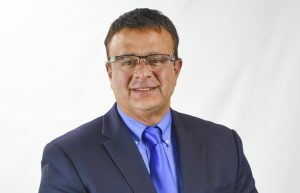 Vince Brancaccio became Chief Executive Officer of Help Hotline, Inc. in 2014 and oversaw the change of the agency’s name to Help Network of Northeast Ohio two years later. He provides leadership and oversight to an organization that has over 60 full- and part-time employees and 10 volunteers. Vince is responsible for writing grants and maintaining funding for the organization from local Mental Health and Recovery Boards, the United Way and community foundations. He also is involved in policy and program development, along with quality improvement. He previously served for six years as Vice President of Programming for Meridian HealthCare, and was Program Director of Outpatient Satellite sites for Neil Kennedy Recovery Clinic. Since 2005, he has been an Adjunct Instructor at Youngstown State University, providing classroom instruction to undergraduate and graduate students in the School of Social Work. Vince serves on and chairs number of committees and councils, including Homeless Prevention Continuums, Family and Children First Councils, Suicide Prevention Coalitions, and AIRS State Board. He is a Surveyor for the Commission on Accreditation of Rehabilitation Facilities (CARF), providing administrative surveys to CARF-accredited organizations around the country. Since 1997 he has been a Licensed Independent Social Worker-Supervisor. Vince holds a Bachelor of Arts in Community Health from Youngstown State University and a Master of Science and Social Administration from Case Western Reserve University.